Business leaders in the satellite & space industry rely on NSR for strategic insights and knowledge that help shape business decisions. 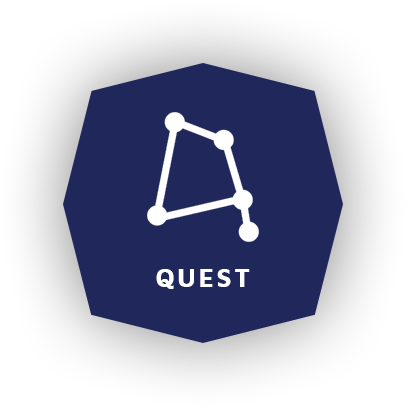 Our proven Quest™ Methodology will generate the right insights and the right gameplan to grow your business beyond the universe. Through NSR’s Quest methodology, our clients are better informed, and better equipped to drive corporate strategy. NSR’s Quest combines critical analytical techniques providing a more thorough and accurate perspective giving NSR’s clients a unique tool to prepare for the inevitable changes that will shape the future of their business. By using a bottom-up approach, NSR’s Quest methodology takes the ‘real’ pulse of each satellite and space-related market and, supported by a top-down validation, gives a highly-accurate, substantiated and fact-based view of the markets going forward. Thus, giving readers of NSR Market Research Reports a clear understanding of future market opportunities. From transponder supply and demand to retail services on the ground, NSR’s Satellite Communications research practice addresses the heart of the satellite market. Coverage includes in orbit capacity, applications and services provisioned, and the core enabling technology behind each market and application. More than just “NewSpace”, Satellite & Space Applications covers everything from M2M/IoT via Satellite opportunities, to more traditional Earth Observation markets. In both near-space and in-space, the segment provides an entire overview of the major market opportunities in this rapidly changing segment of the satellite market. Financial data matters. Beyond EBITDA or Annual Revenues, this segment places each financial metric in context with macroeconomic trends occurring throughout the satellite industry, providing the necessarily color for each fact and figure.